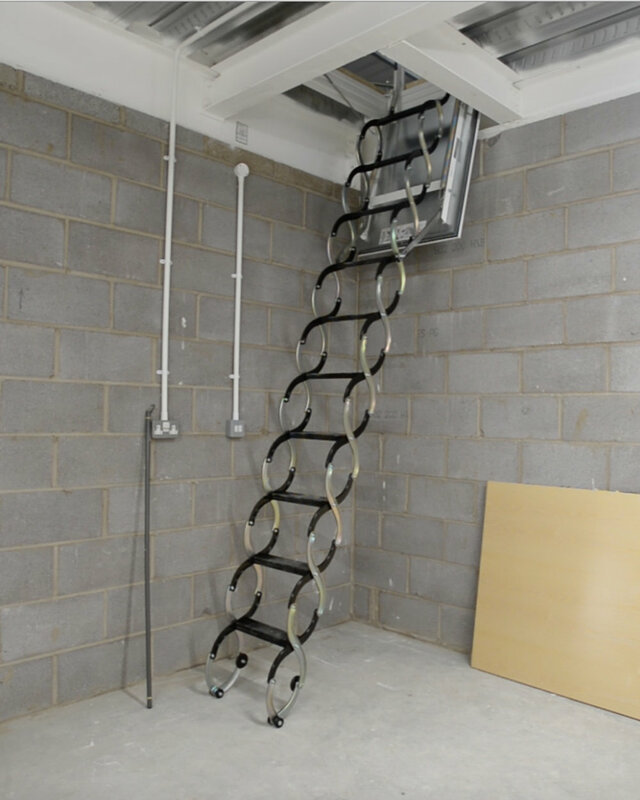 Fakro's LST concertina scissor loft ladder is ideal for houses that do not have a lot of room on the landing or limited space in the loft. Fakro's LST Scissor Ladder is ideal for houses that do not have a lot of room on the landing. This ladder require the smallest clearance on the landing and require no clearence when folded away in the loft. Ideal in loft spaces that have boilers, water tanks, walls or roof pitches in the way that can create clearance issue inside the loft. Integral, wooden, white finish, wipe-clean door, fully insulated and draught sealed. Hatches come in different sizes. We would measure and order the specific ladder that suits your home.